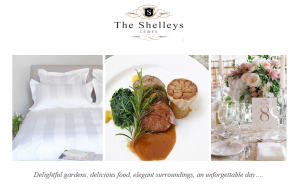 Situated in the heart of East Sussex, The Shelleys 17th Century Country House Hotel offers the highest standards and a uniquely tranquil ambience, to cater for your wedding or civil ceremony celebrations. Our beautiful gardens and elegant public rooms provide a wonderfully still and calm backdrop, with breath-taking views of Lewes and the surrounding South Downs – all complimented by exquisite food and a warm welcome, ensuring your occasion will be truly memorable. We are a team of creative and experienced wedding organisers, able to break the mould, offering creative touches and flexibility whilst maintaining affordability. We assure you of a very personal service regarding your celebration, and will work diligently to accommodate your requirements with the deftest of touches. Our Drawing room can accommodate up to 40 seated guests and 65 seated guests in our Dining room. We would be more than happy to assist you with organising a marquee should you prefer an outdoor wedding. A regular sized marquee can accommodate up to 150 seated guests in our delightful garden. The Shelleys’ drawing room provides an elegant setting, and has been approved as a venue for marriages and civil partnerships for up to 60 guests. Alternatively, you can take advantage of our beautiful garden summer house, which is also licensed. Having the ceremony at the Shelleys provides perfect convenience – eradicating the need for transport from one venue to another. 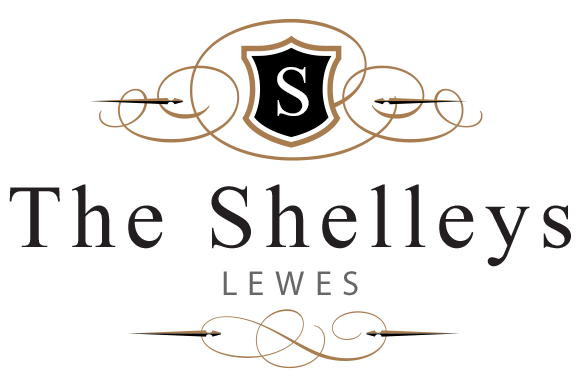 We also offer Exclusive use Wedding packages, this includes use of the ground floor, the terrace, gardens and 19 bedrooms. The hotel is reserved from 1.00pm on the day of the wedding or civil ceremony until check-out at 11.00am the following day. During this time the Hotel will be closed to the public.